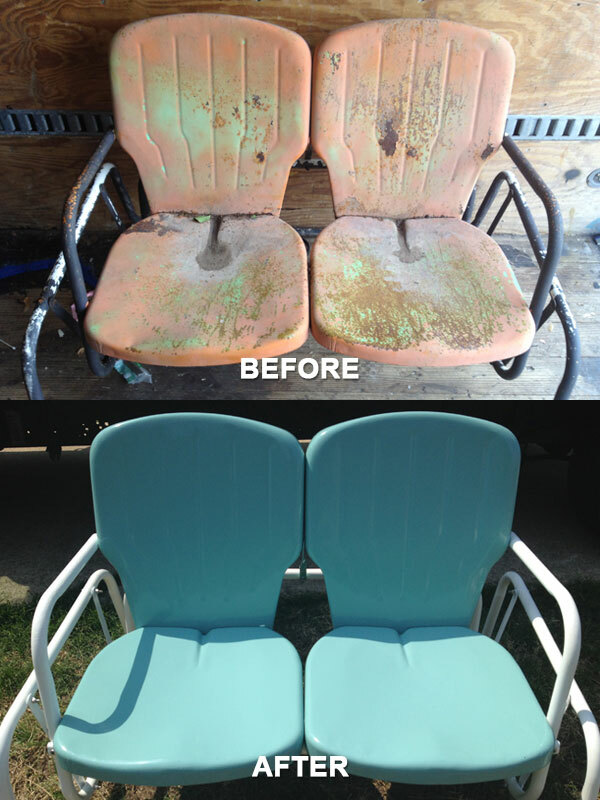 Instead of buying new outdoor furniture that may rust, chip and fade, our professionals at Ace Outdoor Restoration in Austin, TX provide custom services to make your furniture stand the test of time. Our custom service produces a more durable powder coated finish with stronger, UV resistant strapping and fabric slings. For a fraction of the cost of buying new, we sandblast, apply a two-coat baked on powder coated finish, replace strapping, install new fabric slings, make custom sun-brella cushions, replace all hardware, and do any welding repairs needed. We also provide pick-up and delivery. Contact our professionals for additional information about our company or if you have any questions, feel free to call or email us.